Tyese M. Wortham serves small to mid-sized arts organizations through real estate development as the Office/Project Manager at the Community Arts Stabilization Trust (CAST). She brings extensive nonprofit administration experience to her role, spanning education, family literacy, youth development, and the arts. Prior to CAST, Tyese honed her social justice lens as a grantmaker in Cultural Equity Grants at the San Francisco Arts Commission, and as a presenter and producer of culture-specific artist populations with the San Francisco Ethnic Dance Festival. 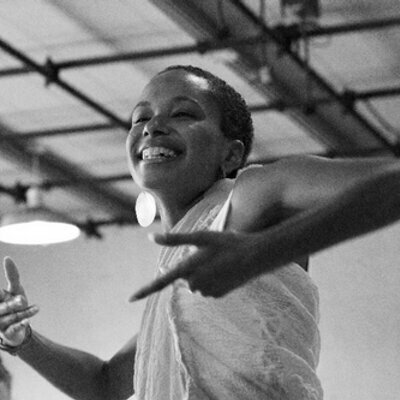 A 2014 Emerging Arts Professionals MADE award recipient, Tyese has been recognized for her expertise as a panelist, consultant, facilitator, and advisor for various Bay Area arts organizations, including Silicon Valley Creates (formerly Arts Council Silicon Valley), Alliance for California Traditional Arts, Black Choreographers Festival, and the Isadora Duncan Dance Awards. As a passionate and community-based grantmaker, administrator, artist, and teacher, Tyese creates life balance by nourishing her physical, mental, and spiritual health through dance, yoga, and meditation. Tyese has acquired over twenty years of dance experience and has danced as principal with Emesè: Messengers of the African Diaspora and De Rompe Y Raja Cultural Association. She has had the pleasure and honor of studying and practicing closely with her teachers and mentors: José Francisco Barroso, Carlos Carvajal, Teresita Dome-Pérez, CK Ladzekpo, and Gabriela Shiroma.